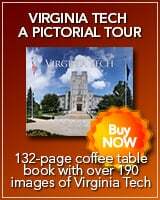 Virginia Tech (Hokies) vs Maryland (Terrapins). Maryland (4-7, 0-2 ACC) 9. 140+ photos in the gallery. Enjoy! Virginia Tech (Hokies) vs North Carolina (Tar Heels). North Carolina (5-5, 0-1 ACC) 3. 120+ photos in the gallery. Enjoy!